Last week, members of the media were invited to a preview of the updated Star Tours now open at Hollywood Studios and Disneyland. 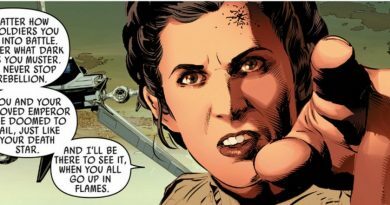 Disney Parks Blog first teased the Crait addition on November 17, promising that the scene inspired by The Last Jedi would not be the only change. In fact, the ride has undergone a narrative shift, with Rey and Kylo Ren appearing in the opening sequences, followed by the familiar visit to Jakku that has been part of the ride since the fall of 2015. The updates continue with new holomessages from Maz Kanata and Poe Dameron; the BB-8 message remains in the rotation, as well. From there the Starspeeder jumps to Crait, smashing through crystals in an underground cavern before emerging in the midst of a battle between the First Order and Resistance. Poe Dameron pops up on the side screen to offer encouragement, while General Hux’s appearance forewarns certain doom. 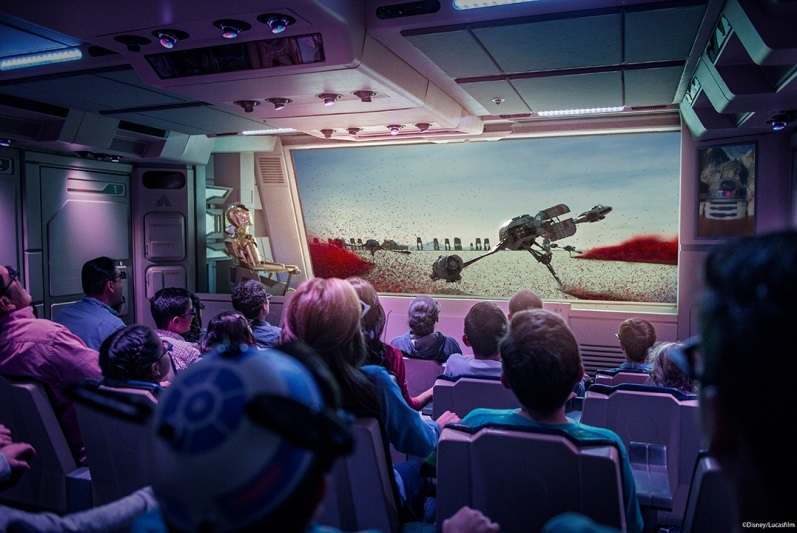 C-3PO and R2-D2 facilitate an escape from Crait and, after rushing through hyperspace, Star Tours delivers guests to a new world, Batuu. 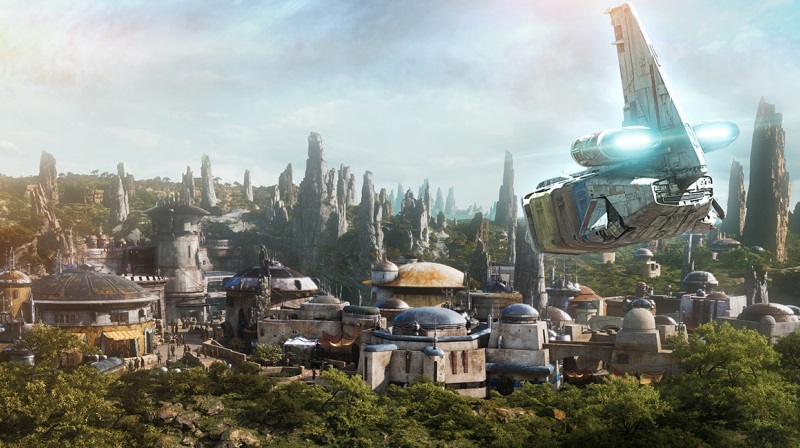 On the Disney Parks Blog Creative Executive Scott Trowbridge gives fans insight into this new setting: it is the backdrop known as Galaxy’s Edge, or more familiarly Star Wars Land. At Galactic Nights, a one-night special event at Hollywood Studios, Trowbridge will join Robin Reardon, Executive Creative Producer at Walt Disney Imagineering; Chris Beatty, Executive Creative Director at Walt Disney Imagineering; and Doug Chiang, VP/Creative Director at Lucasfilm in a roundtable hosted by David Collins. They will share insights into the making of Galaxy’s Edge and give attendees exclusive peeks at this ambitious project. In addition to this panel, which will be held four times during Galactic Nights, Hollywood Studios has many more surprises in store for guests who attend the red carpet event on December 16. 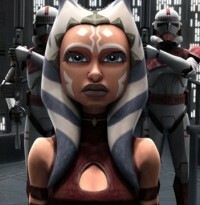 For more information, check out the Galactic Nights page; check back all this week for highlights of food and events.